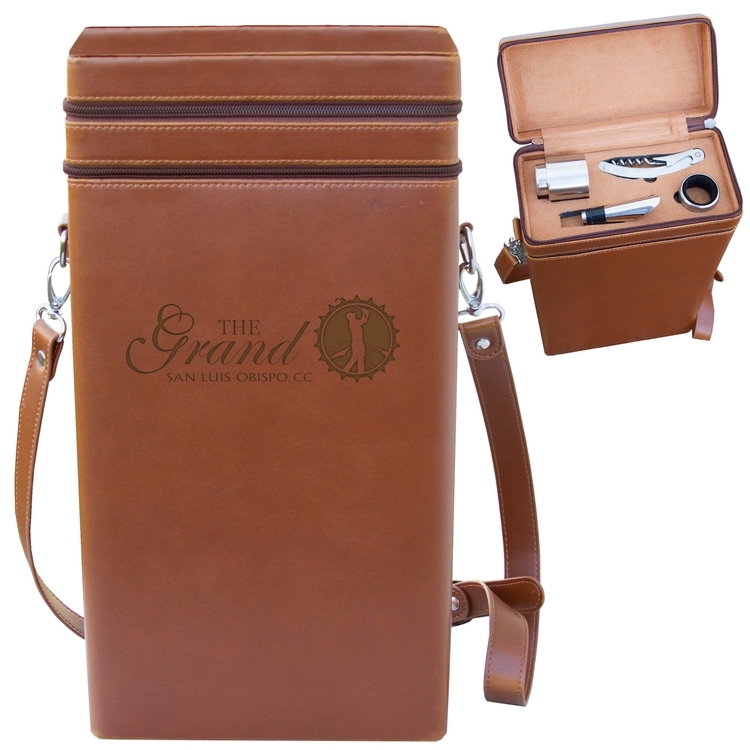 Material: Genuine Italian Leather Features: Adjustable Shoulder Strap, Holds 2 Bottles of Wine, Zip Closure for Case and Accessories Includes: Corkscrew, Vacuum Wine Stopper, Drip Ring, & Pourer Uses Include: golf tournament, customer appreciation, corporate gifts, charity events, holiday events, realtor closing gifts, executive board gifts and sales incentive. 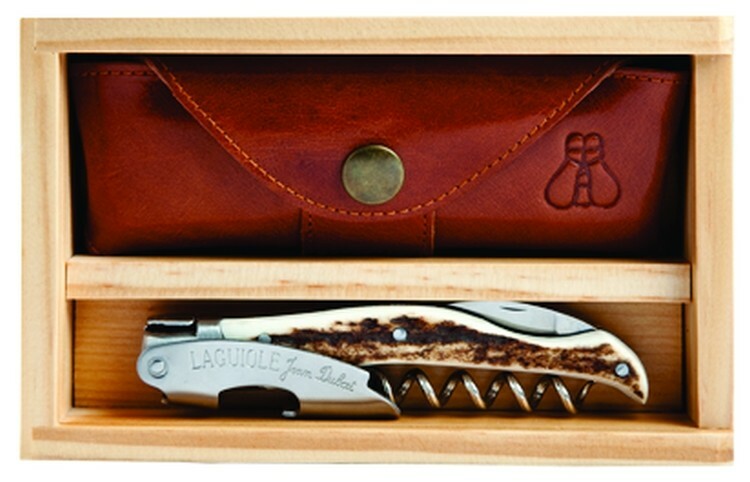 Handle: Beechwood Bolsters: Stainless Steel Closed: 5.625" Steel: 440 Stainless Finish: Satin Features: Boot Lever, 5 Turn Corkscrew, Serrated Foil Knife, & Bottle Opener Includes: Wood Presentation Box Uses include: golf tournaments, vineyard, winery, wine shop, wine promotion, gift store, customer appreciation, holiday gift, charity event, realtor closing gift, recognition, gifts, custom products, club events, corporate gifts, executive board gifts, banking gifts, sales incentive, wedding gifts, business milestone and grand opening. 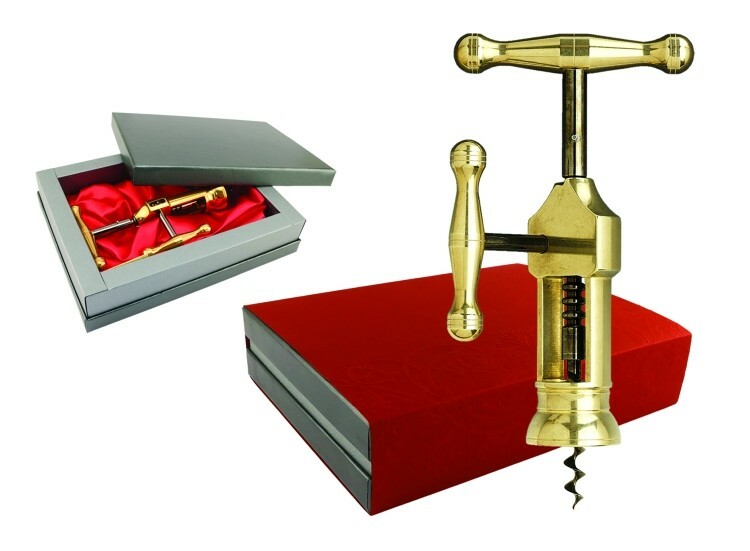 Attractive, hand-finished antique replica uncorking machine. One full downward stroke removes the cork. 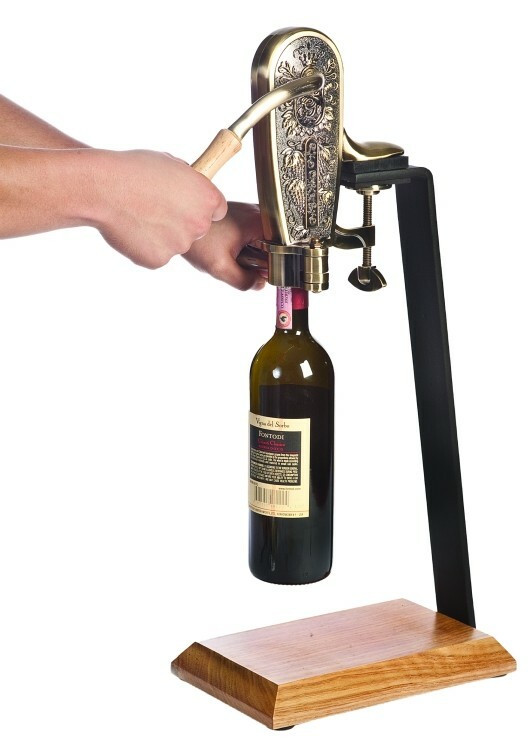 The squeezable clamps hold the bottle in place during extraction. Antique brass finish with grape cluster design. Can be clamped to a counter or mounted on the stable stand. 8 1/2" high, 8" overall depth, including handle. Sturdy stand consists of natural wood table base and 5/16" thick x 2" wide steel arm. 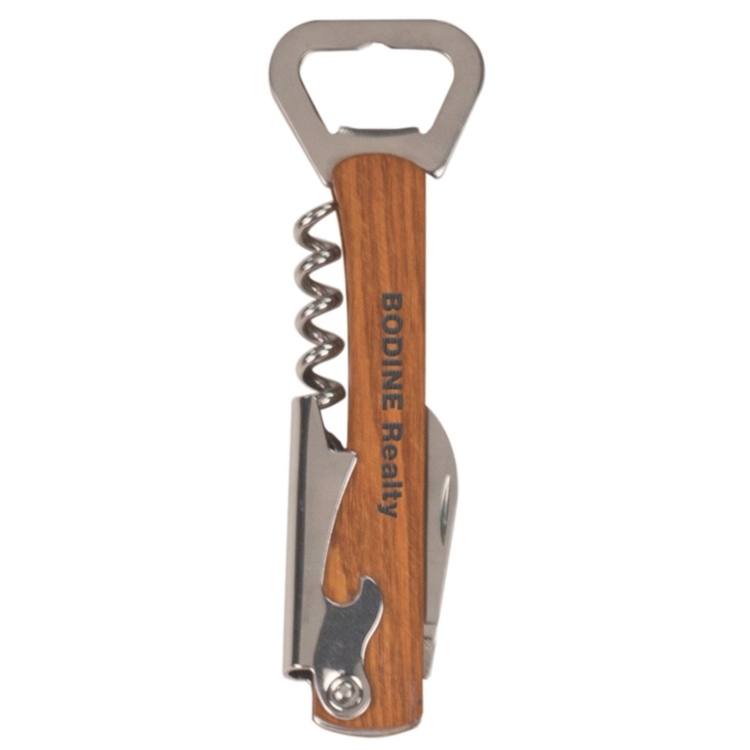 Bottle opener with wooden handle perfect for lasering your logo, message or name into. 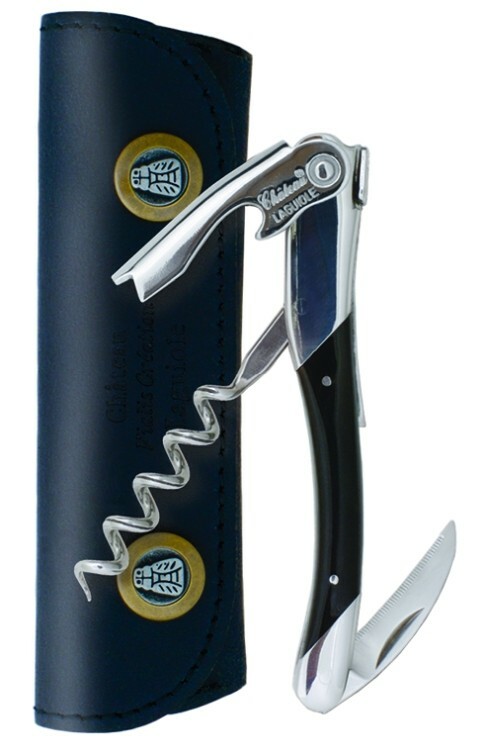 Comes with a waiter type cork screw opener, bottle opener and knife. 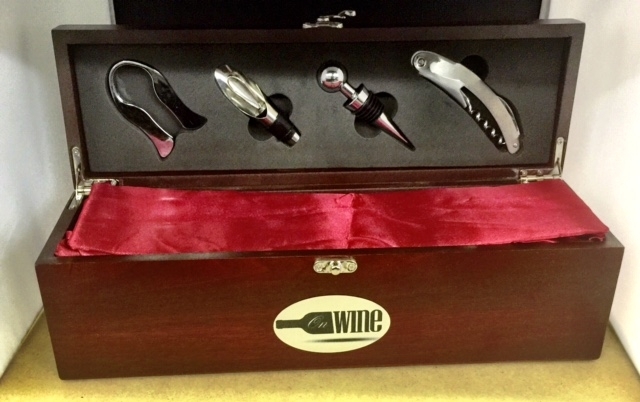 Great gift item! 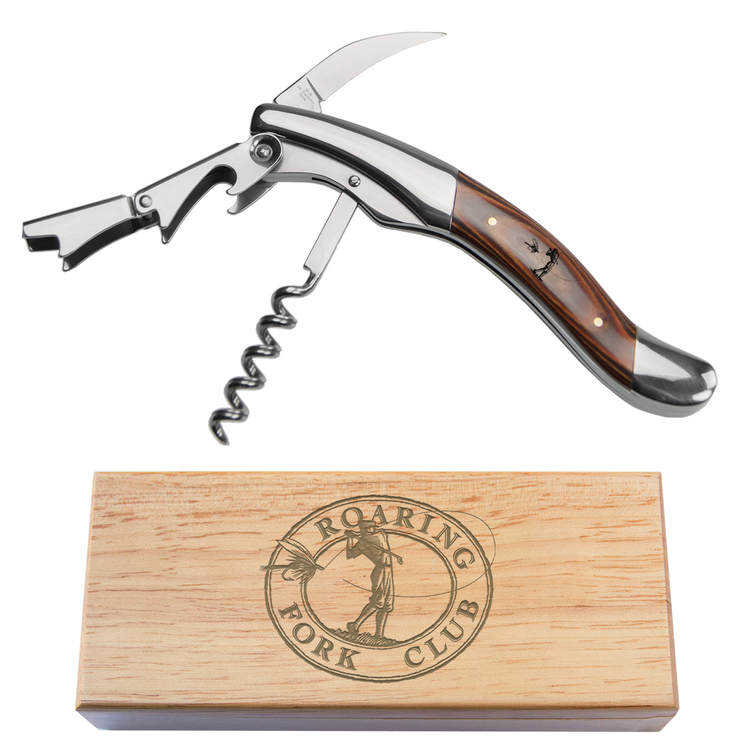 This limited edition French-made corkscrew is made of steel purchased from the Golden Gate Bridge Highway & Transportation District from the bridge of the same name. 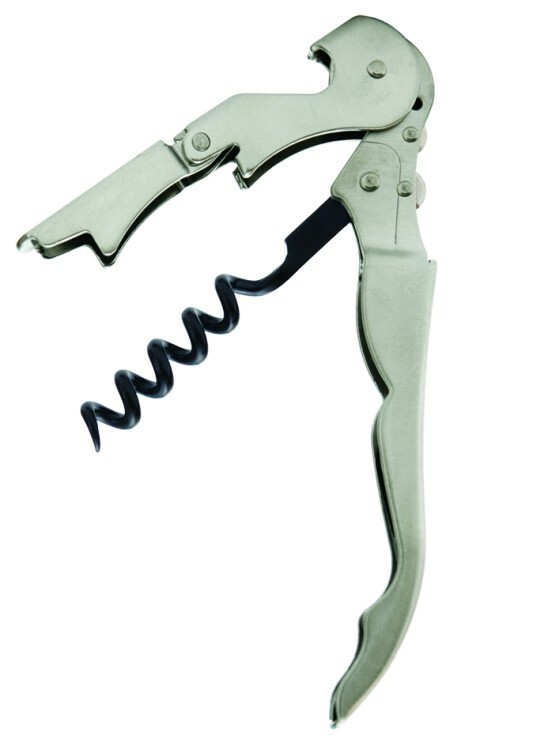 The Castello™ Collection of Two-Step Waiter's Corkscrews are handcrafted in Italy. 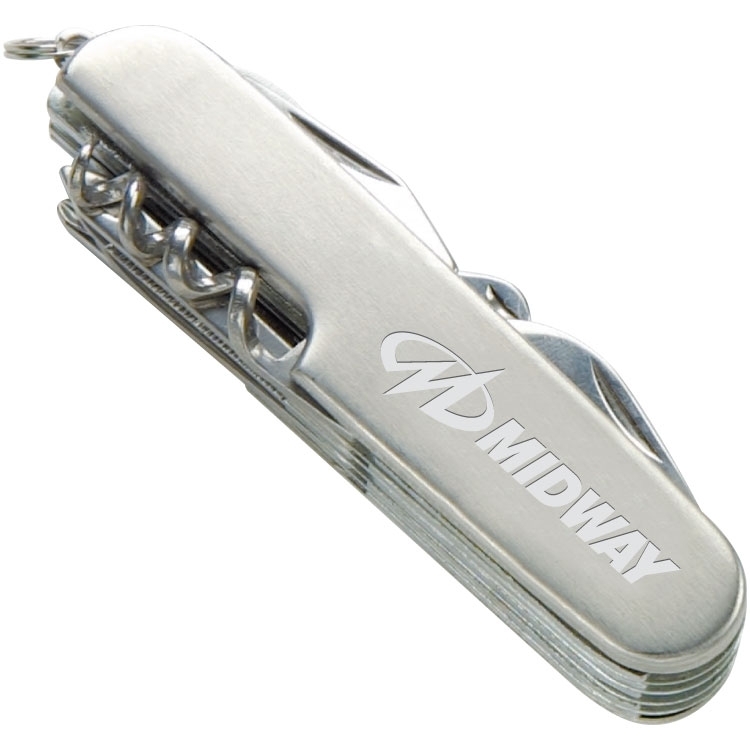 All metal parts are of stainless steel. Stainless steel, open spiral worm. 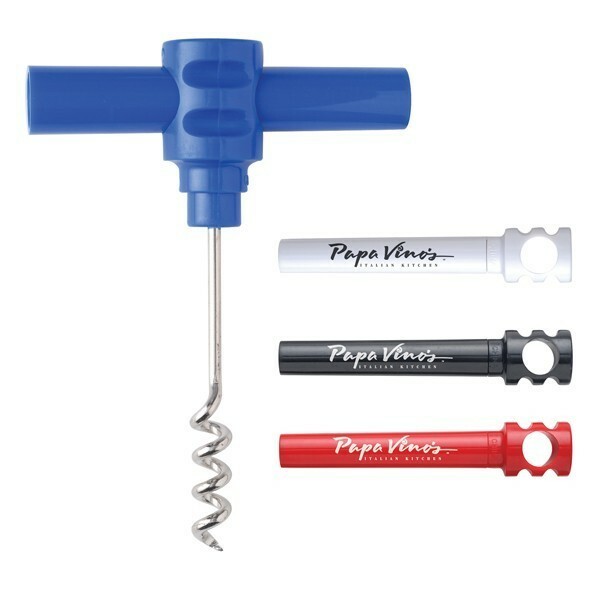 Insert plastic cap through handle for easy turning. 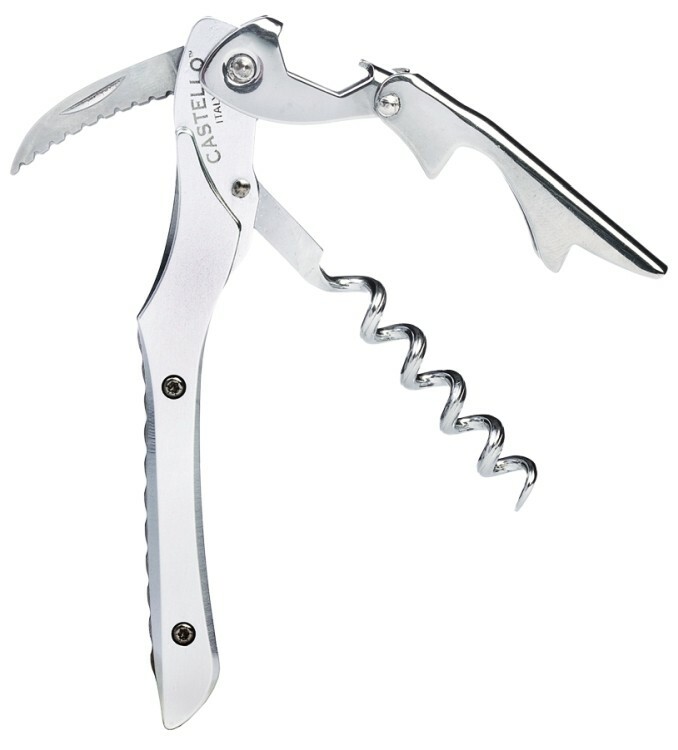 Strong, durable metal corkscrew. Actual size is 4-1/2"long. Individually polybagged. 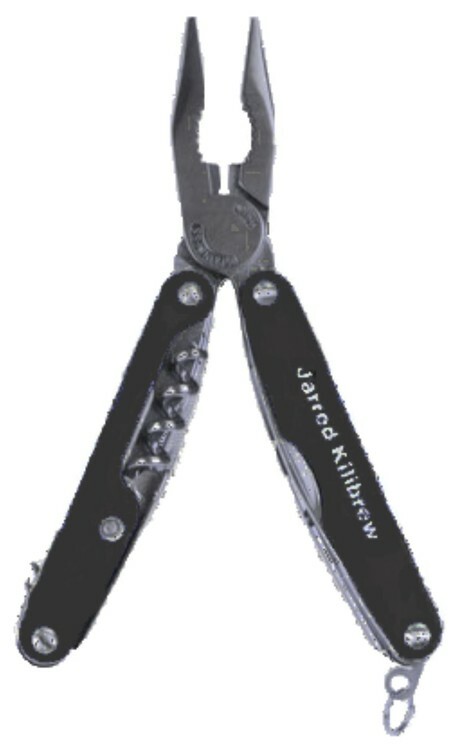 14 in 1 Function: 1) Knife Blade, 2) Wood/Rope Saw, 3) Hook Disgorger, 4) Fish Scaler, 5) Can Opener, 6) Scissors, 7) Bottle Opener, 8) Slotted Screwdriver, 9) Tent Reamer, 10) Nail File, 11) Nail Cleaner, 12) Cork Screw, 13) Sturdy reamer, 14) Phillips Screwdriver Stainless Steel Body KeyChain Ring Nylon Pouch with Belt Loop included Blade Length: 2 1/2" Closed Length: 3 1/2"
Beautiful rosewood finish box for wine to display. Laser Engraved great gift! Tools included. It comes with 4 tools. 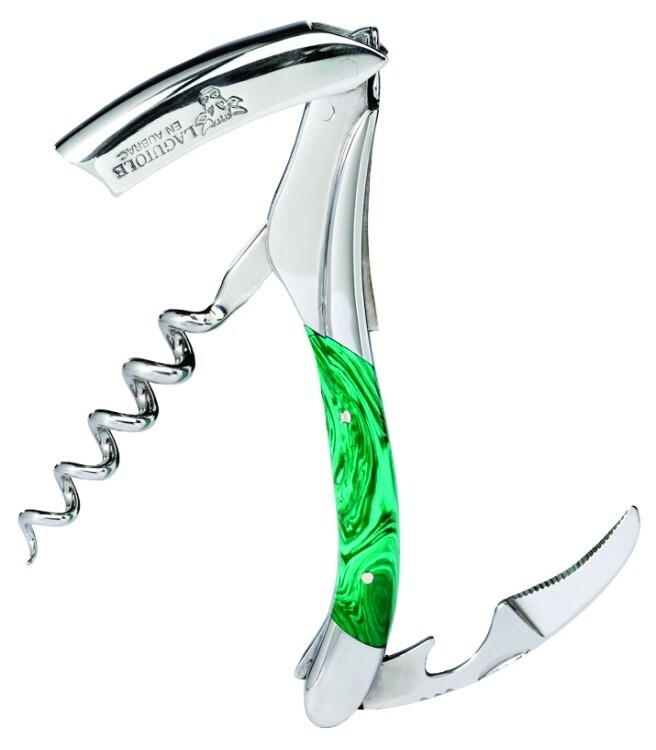 A stopper, screw, pourer and foil cutter. Price includes your choice of a 3" x 3" silver plate on the lid or a 1" x 2.5" silver plate below the hinge, both custom etched in black! (Wine not included). 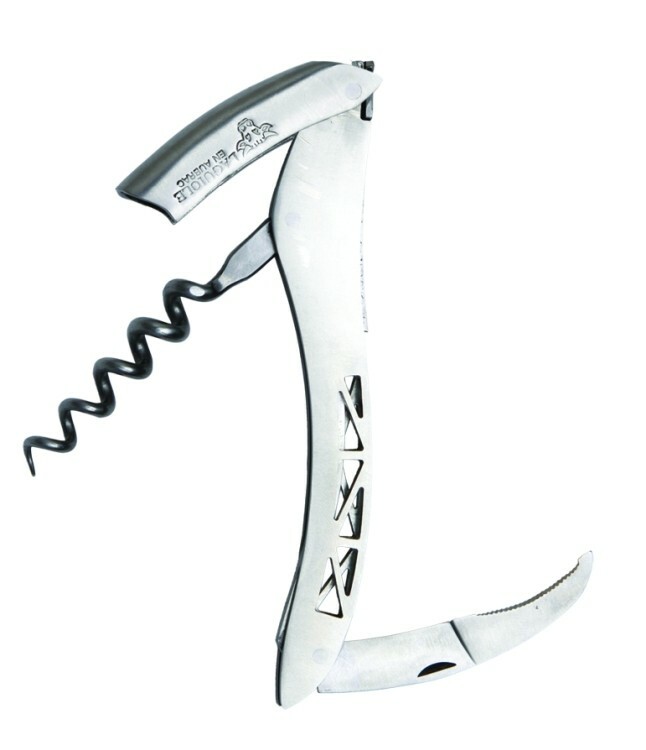 This innovative corkscrew has a unique 1 1/8" extender arm attached to the handle. Hinged to that arm is a one-piece, double-step lever. 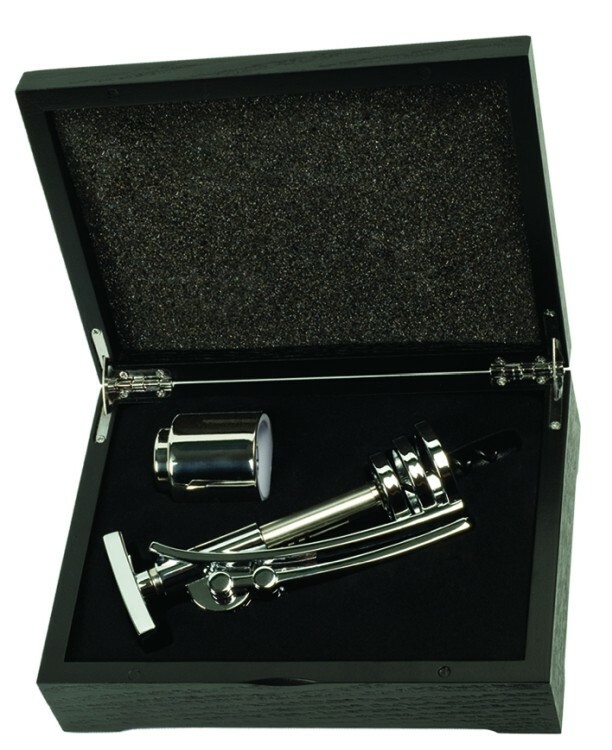 This system drops the extracting lever down far enough to give a true vertical cork extraction. Cap lifter in extender arm. Nickel plated spiral. Serrated knife blade. 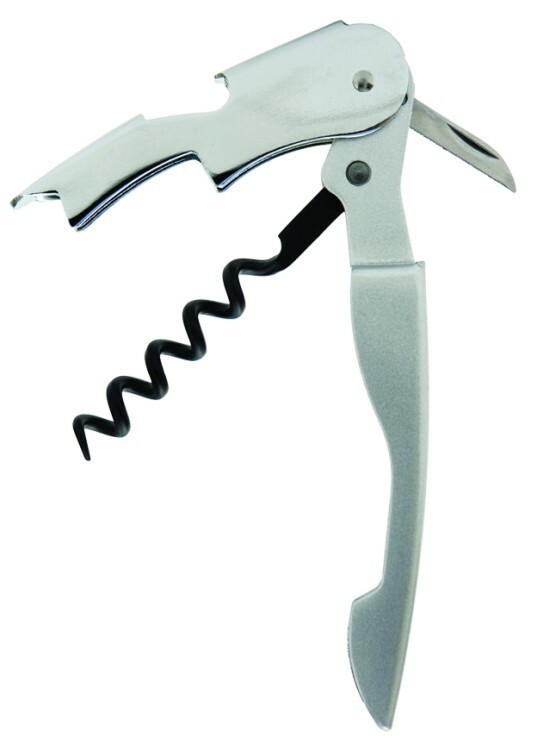 The heavy weight corkscrew (15.2 Oz.) has wood inlaid handles. Open spiral with non-stick surface on spiral. 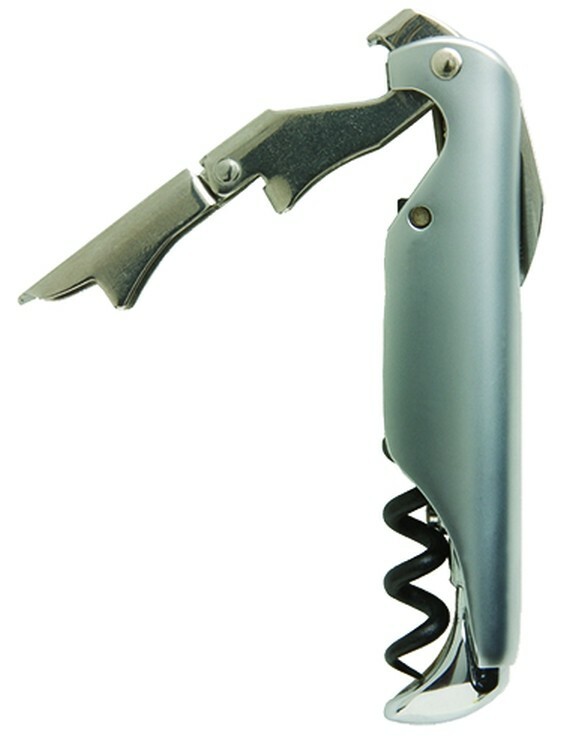 Twin prongs slip between cork and inside bottle neck. 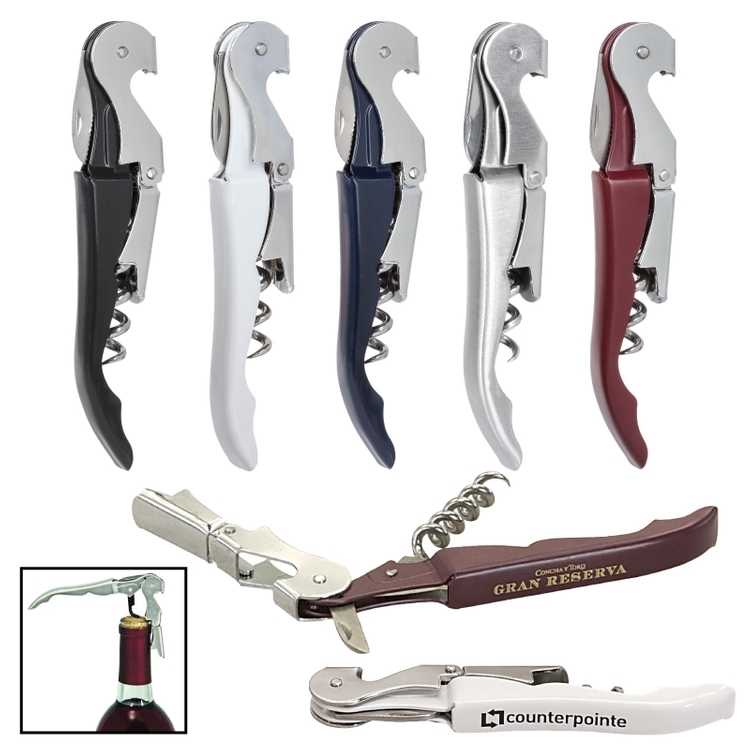 Twisting out and upward removes the cork. 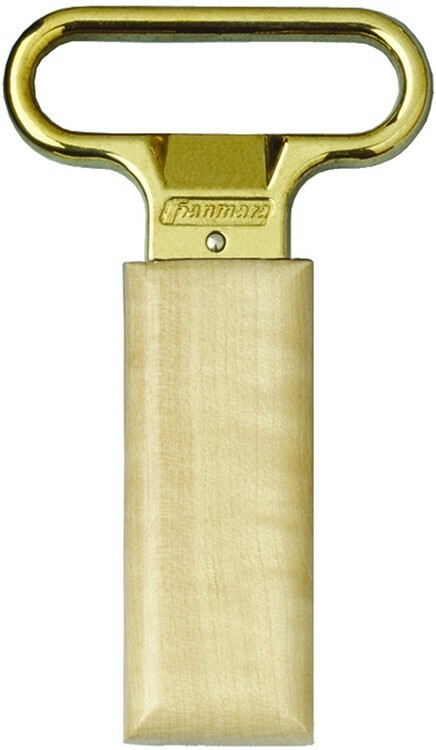 Includes protective finished wood sheath.